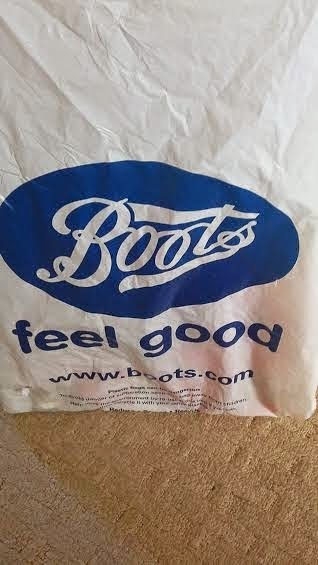 Today, I have a Boots Haul for you! Obviously, when there's 3 for 2 on Indulgent Bath and Body products, how can you say no? This hand cream is amazing! I know I am probably a bit late to the party with this one but up until now the only time I had ever used this was when I received a Soap and Glory gift set at Christmas and it contained a mini version of Hand Food which hooked me on this beautiful product. 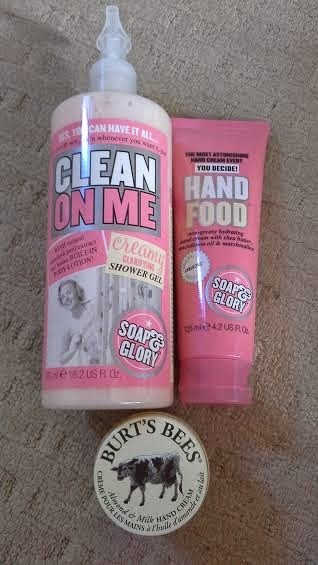 As with other Soap and Glory products it smells wonderful which is one of the main attractions of buying this. Unlike other hand creams, it's not at all greasy, and makes your hands feel so moisturised and soft! Oh yes! Yet another Soap and Glory product. This time it's Clean On Me which is a shower gel from Soap and Glory's Bath and Shower range. Again, as with Hand Food, the only time I have used Clean On Me was when I received the mini version of it in a gift set at Christmas, but that was enough to whet my appetite and encourage me to purchase the full size product. Not to repeat myself too much, but the smell! It's lovely! What impresses me about this product is that it's a hybrid between a shower gel and a body lotion which is built into one, which is why your skin feels amazingly soft after using the shower gel. This is a product that I have actually never used before, but after reading that it worked well on very dry hands I decided to give it as go as it was included in the 3 for 2. I have really dry hands and constantly need to use hand cream to get them to stay moisturised and I figured that this product would be good to use as a treatment once a week in addition to my Soap and Glory 'Hand Food'. If you read my last blog post then you will know that this is a product I have previously tried after receiving a sample of this in a copy of 'Glamour' magazine. 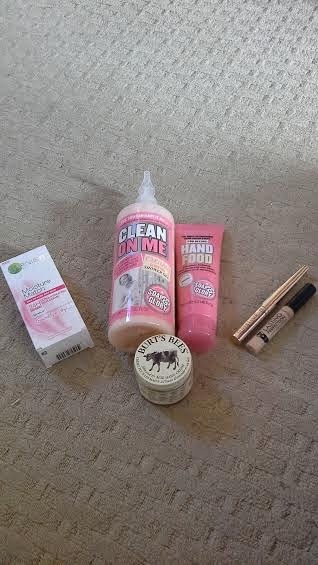 I was so impressed by this product that I decided to purchase the full size product while I was in Boots. Hope you enjoyed this post, let me know below what other blog posts you'd like to see!